San Diego Comic Con is only a few days away, and with it comes some very special deal and contests. 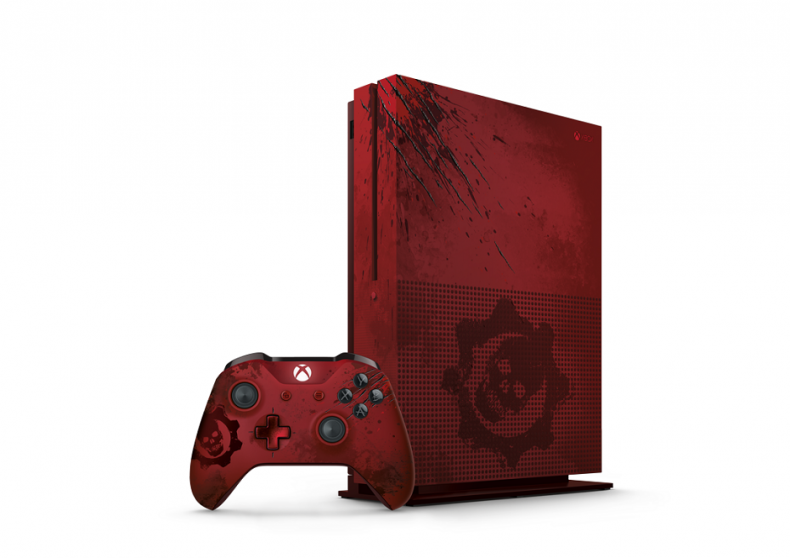 One of which will be the chance to win a limited edition Gears of War 4 style Xbox One S.
This 2 TB version of the stylized console will be packaged with a matching controller, a digital copy of Gears of War 4: Ultimate Edition, the game’s season pass, access to the game four days early, a multiplayer emblem, character and weapon skins, and six “Gear” packs containing additional in-game items. The contest ends on July 28th at midnight.